This program is geared for the solo-entrepreneurs, small enterprise owners and expert consultants and coaches thinking about or beginning to approach the largest companies in the world for contracts. The primary focus is on developing the minimum capabilities for a successful first corporate contract. Go here to learn more about the BPB – Harvest program and sign up to receive priority notification when our next enrollment begins. This flagship program provides everything you will need to know about how the largest companies in the world go to market. It will provide you with a comprehensive blueprint for solving the largest of capacity challenges so that the biggest companies in the world know that you are ready to compete and win the big contracts. The BPB-Masterclass includes access to our world-class community of business owners with whom you can collaborate, learn from and potentially develop business relationships for the purpose of growing your business. This three-day intensive is led by me and the team and will accelerate the development of your customized Business Partner Blueprint. You will leave will a completed, detailed blueprint ready to execute and drive results. Intensives are offered quarterly and are limited to 40 participants by application only. Go here to learn more about the BPB – Intensive program and sign up to receive priority notification when our next enrollment begins. This group Mastermind is limited to 10-12 companies per period and is facilitated by Mr. Dobbins. 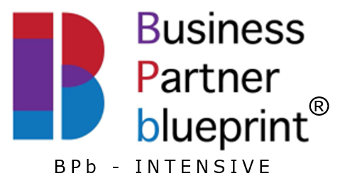 He will work directly with the group to implement the Business Partner Blueprint into your business. This program is by application only. Our exclusive CEO Circle is for those companies currently enjoying a high level of contracting success with the largest companies in the world but are looking for the edge to break through to the next level. This group commands our highest level of engagement and service. Participants in this program are either nominated by an existing member or join by invitation.